The Holiday Inn Express may be a modest hotel ($70 a night in a pricey city), but the beds are terrific and we had a great night’s sleep. Breakfast was a minimal affair; some watermelon chunks and a couple of hardboiled eggs. But the driver was right on time and we were away in a very nice vehicle driven by an excellent driver who knew the backroads and could avoid a lot of the traffic headache. He also knew the outside dimensions of his vehicle as if it were a second skin and we made the trip to Mutianyu in under two hours. 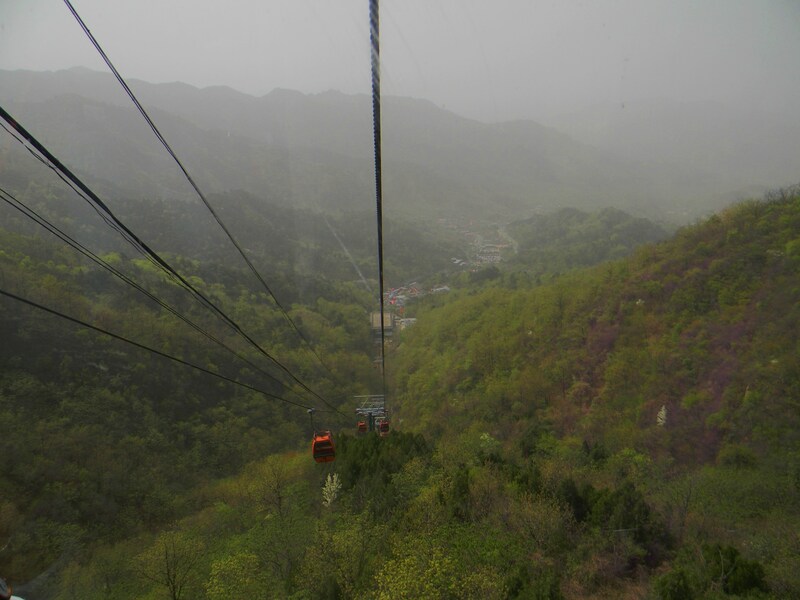 We figured were going to do plenty of walking that day so we took the gondola ride to the top of the wall to begin our hike. The wall is built along the top of a ridge; several hundred ridges in fact, as the wall winds its way across 7,000 kilometers of China’s northern and western borders. Originally built around 200 B.C. of stamped mud, it was expanded during the Han Dynasty and again under the Jin in the 12th century A.D. However it was unequal to the task of keeping Genghis Khan and his Mongol troops from conquering China begining in 1206 and continuing until the death of his grandson Kublai Khan in 1294. 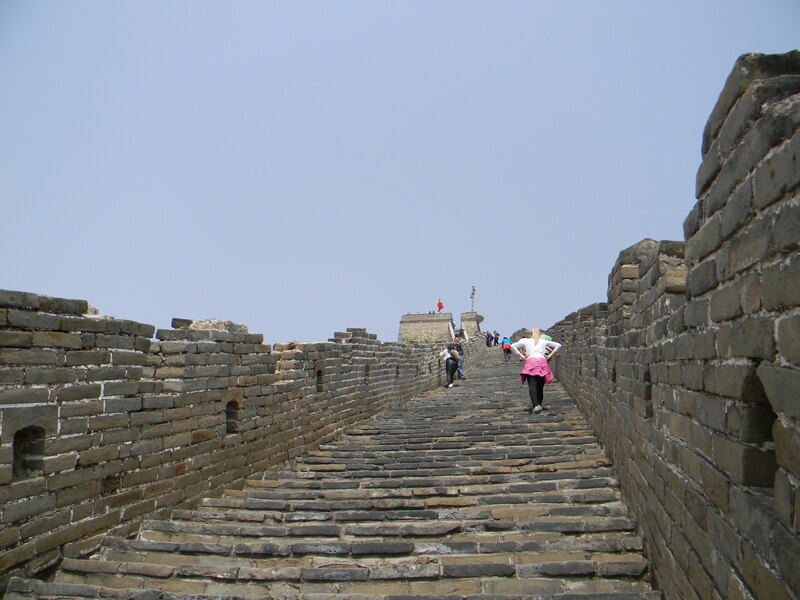 After the restoration of imperial China in the Ming Dynasty, 1367 to 1644, the wall underwent an extensive repair and rebuild, this time with more substantial building materials of rock, brick and mortar. It is this wall, some sections of which are nearly 650 years old, that has survived to the present age. Although nowhere near as artistic or inspiring as St Paul’s in Rome, which was finished at around the same time, it is impressive not only for its massive size but also for the beauty of its natural surroundings. The gondola let us out at tower 14, and faced with the decision of either going uphill to the left/west, or downhill to the right/east, we chose uphill, figuring that once tired it would be better to go downhill. The rebuilt sections are wide enough for six to walk abreast, and the crowds were minimal at this hour, so we strolled easily, without jostling, admiring the view from each watchtower and the audacity and perseverance it must have taken to build such an enormous fortification. In addition to the watchtower, there were cannon placements and gun/arrow slots all along the wall. Pam and Moochi had run out of steam by tower 18, the last row of very steep steps proving too much. Shelley went on to tower 19 and took some videotape of me doing Tai Chi on the wall before she went back. I struggled on past tower 20, onto a stretch of unrestored wall. This is where it gets a little tricky, with no restraining wall and the ground dropping steeply away beneath a crumbling trail. I contented myself with one more kilometer before I too allowed discretion to overrule my enthusiasm for exploration. With a week of walking through Beijing and Shanghai before me, I did not want to risk twisting an ankle for the sake of amateurish bravado and bragging rights. Back at tower 14 we considered our options. We could return the way we came, or we could go on by exploring the wall to the east. Moochi was pooched, and went back down the hill, but Shelley, Pam and I went on downhill, which given the wear on our quads and calf muscles, was a lot harder than it sounds. We soldiered on, treasuring the rare flat sections of the wall and enduring both up and down sections as they afforded the better views. 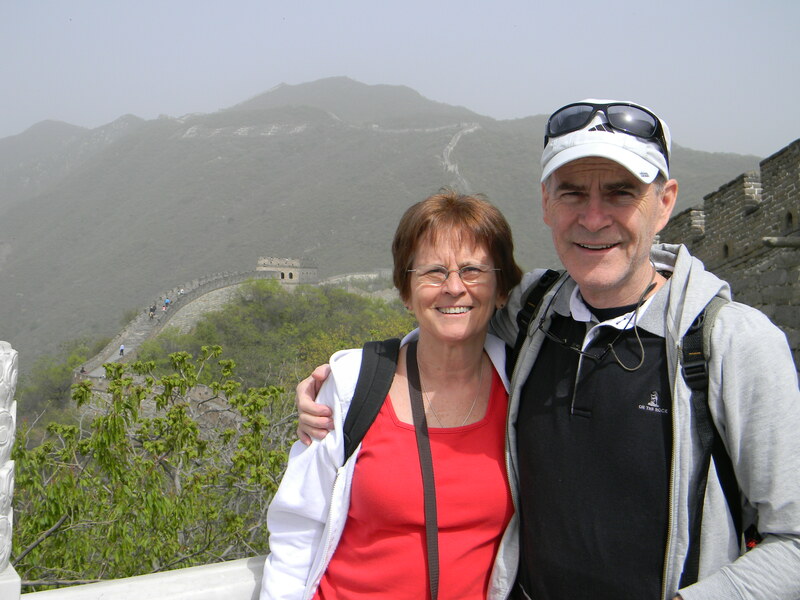 It really is a spectacular setting and we enjoyed every vista to the max, pinching ourselves as we went that this was in fact us who were walking along the Great Wall of China! At Tower 4 we caught the slide to the bottom. That’s right, a tacky metal slide like you would find at Wonderland, with a tacky plastic toboggan that had a joystick handbrake and nothing else. It was wild and it was fun and I don’t care if it was comically out of place; we all enjoyed it! Our driver was waiting for us at the bottom, eager to be on the way to beat the Beijing traffic. But we were in no hurry to leave and bought a few souvenirs for the grandkids before we bundled back into the car for the trip back to Beijing. Rather than go back to the hotel, we had our driver drop us at the Bell and Drum Towers just north of the Forbidden City where we got a bite to eat on a rooftop restaurant overlooking the square. Suitably refreshed, we explored the little shops around the square where Pam and I found a wall hanging for that bare space above the television at a Chinese art shop. Then we headed into the hutongs, the little alleyways that line this side of town, bordering one of the many ponds and little lakes that dot the city. The ladies bought some scarves and we wandered until we could walk no more and then grabbed a taxi for the ride back to our hotel. It had been an amazing day! It was only in the Ming Dynasty (post-Mongols, 1368-1644) that wall building was taken up again. 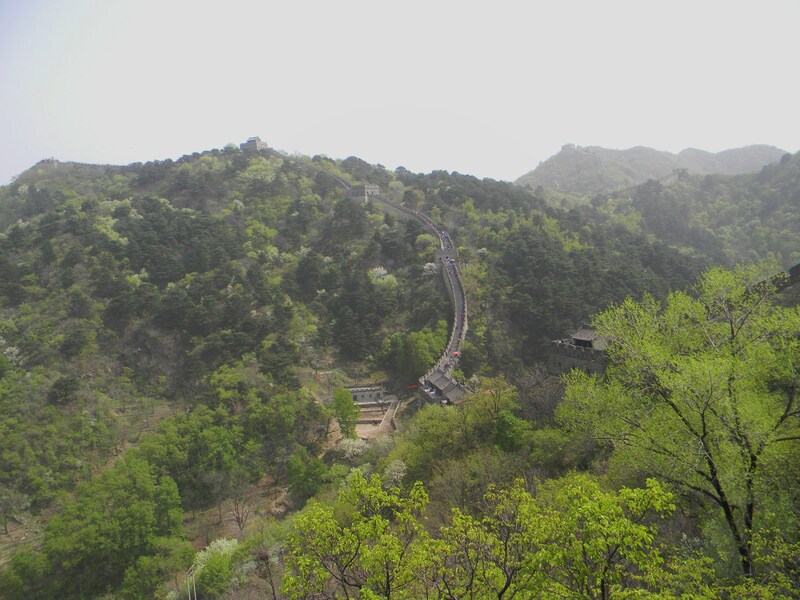 Much of what tourists see today (including the Mutianyu section) was built or rebuilt during the Ming Dynasty. The Manchu (descendents of the Jin and rulers of the Qing Dynasty) overran China in when the gates of Great Wall at Shanhaiguan were opened by the Ming general Wu Sangui. After that, the Great Wall fell into disuse and irrelevance again as Qing territory stretched north of it, including to their ancestral home of Manchuria. The Qin Dynasty (211-207 BC) pre-dated the Han (207 BC-220 AD). The Great Wall was ‘built’ under the Qin, then restored, rebuilt and expanded under the Han. Certainly no where near the 12th century, by which China was mostly goverened by the (Southern) Song and ‘barbarian’ Jin (in the north). The Jin power base was north of the Great Wall. It ran through Jin territory, rendering it irrelevant to the defence of its northern border. There was no need to maintain them, the walls fell into disuse and disrepair. Thanks for the correction. I always get my Qs and Js mixed up, even when trying to pronounce my student’s names! As for the expansion of the Jin territory beyond the Great Wall, which you correctly noted had fallen into disrepair by the time the Mongols moved south, isn’t that just typical of imperial overreach? Build a great defense, then ignore it so that when you need it most it is not there to help you! China has had a history of absorbing its conquerers, merging their cultures, and calling the result Chinese. Of course the Brits have done exactly the same thing throughout history; absorbing Celts, Anglo-Saxons, Danes, Vikings, Romans, Normans (Vikings who settled in Normany, France), Picts, and Scots during the course of its 5,000 year history. A great people simply learn how to roll with the punches. Oops sorry – I didn’t realise I double posted. There was an issue with my connection, I ended up losing what I’d typed, had to re-type, and must have inadvertently submitted it twice. 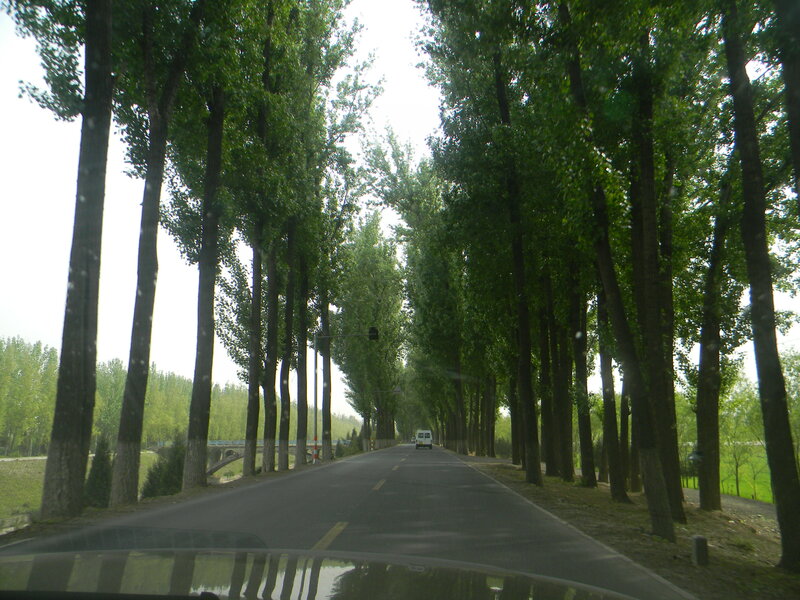 The traditional Jin heartland was NORTH of the Great Wall (president day Manchuria). They didn’t expand north beyond the wall, they conquered Song land in the south and eventually consolidated their hold over the traditional cradle ‘Chinese’ (Han) civilisation. The Great Wall would have been irrelevant to them, as it was to the Mongols. The JIn did build defensive walls far north of the Great Wall – in what is today’s inner and outer Mongolia. After the fall of the Tang Dynasty (907 AD), the centralised power collapsed and ‘China’ (as we think of it now) was split into several smaller kingdoms. This is known as the Five Dynasties and Ten Kingdoms period. Most of the Five Dynasties in the north (the ‘Ten Kingdoms’ were in the south) were ruled by northern tribes. Again, one wonders what the point of maintaining a northern defensive wall would have been. Little wonder the Great Wall fell into disuse. Though Zhao Kuangyin unified ‘China’ under the Song, he never regained control of the north-eastern areas traditionally considered Chinese/Han areas. These areas were held by the Khitan Liao Dynasty, who were in turn destroyed by the Jurchen Jin. Jin incursion meant that the (Southern) Song needed no wall – they had the Yangtze River as a natural defensive barrier. They held out against the Mongols for decades. The final collapse was as much to do with incompetence of the Song court as it was to Mongol military might. The Mongols were forced to ‘detour’ to the west (by their Chinese advisors, I might add). There, the seige of Diaoyucheng lasted decades and cost the Mongols the life of Mongke Khan (Kublai’s predecessor). The commander of Diaoyucheng eventually surrendered because the inefficient and corrupt Song court were unable to to provide logistical support for a drawn out resistance. The fact of the matter is, with boundaries constantly shifting through the rise and fall of dynasties, the Great Wall was often simply not a “great defense” as you put it. Yes. A common misconception is to think the Chinese are a homogenous group. As if it is possible to have homogenous population numbering in over a billion and spread over an area the size of China. Leaving the ethnic minorities (Miao, Manchu, Uighurs etc) aside, there’s still huge variations culturally and linguistically within the Han population. Modern day Han physical features are testament to the intermarriage and assimilation of non-Han peoples – Xianbei, Xiongnu, Turks, Tanguts, Khitan, Yue etc. It is also likely that the original ‘Han’ people were a mixed group of tribes. There is no such a thing as a pure race, is there? And ethnicity is as much cultural practice, language and identity as it is genetics. A friend of mine, knowing my interest in the subject, has recommended “The Great Wall” by John Man. Perhaps you have read it already. He suggests a good working title for a film on the subject would be “The Great Wall: Errors, Lies and Assorted Idiocies.” Has a nice ring to it, don’t you think? Certainly there is a lot of rubbish written about the structure, including the astounding assertion that it can be seen from outer space. It can’t even be seen from earth orbit, according to Man (haven’t been there; can’t say), and it is, as I suggested in my initial post, considerably less impressive than St. Peter’s, an awesome structure completed at around the same time and much less ancient – at least in its present brick/stone state, than Lincoln Cathedral (begun 972 A.D.) or dozens of other European buildings. There are Roman viaducts spanning huge gorges built around the time of the original Wall (made of stamped mud) that are still standing in all their glory. So no, it is neither so old or so grand as the Chinese would have you believe. But to give the Mings their due, the structure they completed in the 17th century is quite something to see, and it does have a magnificent setting among the ridges and valleys of a very pleasant countryside that would be so much nicer if it wasn’t for the damnable coal-soot smog that blankets the entire country! I’ve read the book. It’s a good read. To be fair, it was the Westerners who built up the myth of the Great Wall. Note that the Chinese name for the wall – chang cheng – simply means Long Wall., not ‘Great’. 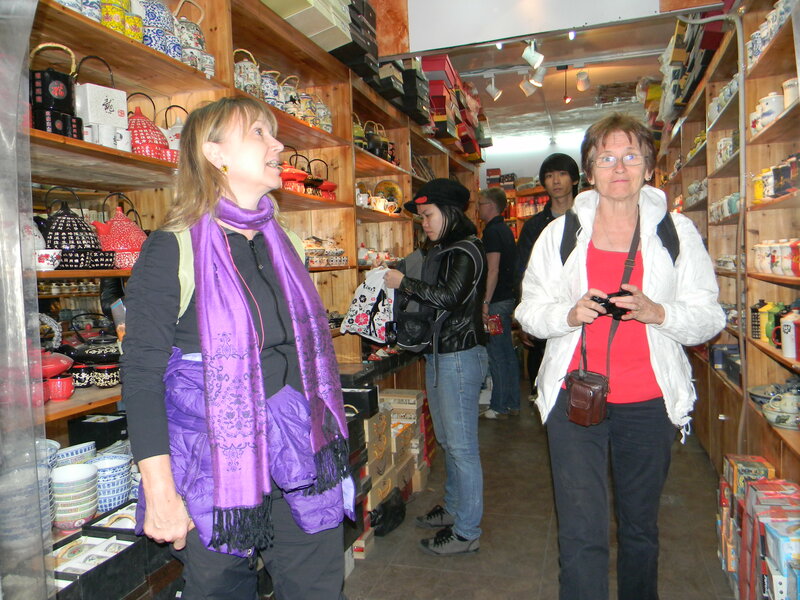 If China wants to milk it for all it’s worth as a tourist destination, who can blame them? How impressive a structure is, is a matter of opinion. 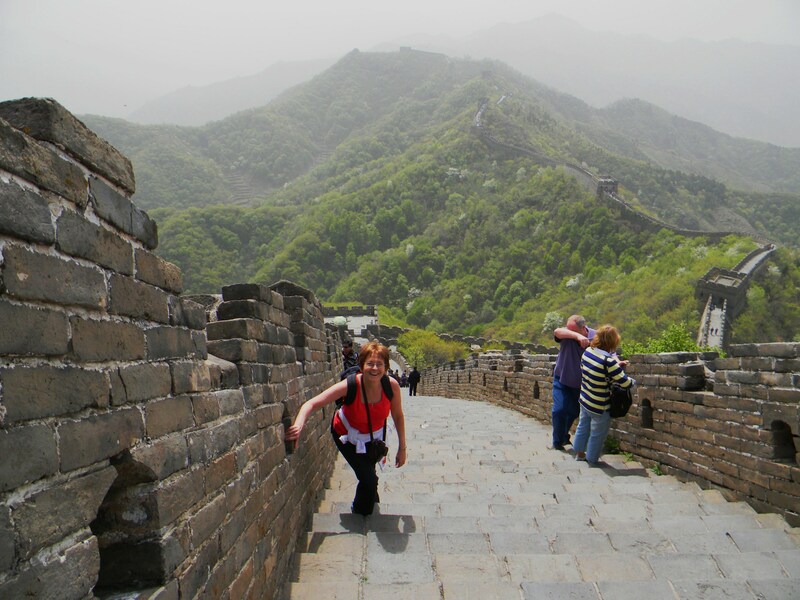 Personally I found the Great Wall more impressive than St Peter’s. While we’re on the topic of ancient building works, there’s the Grand Canal. 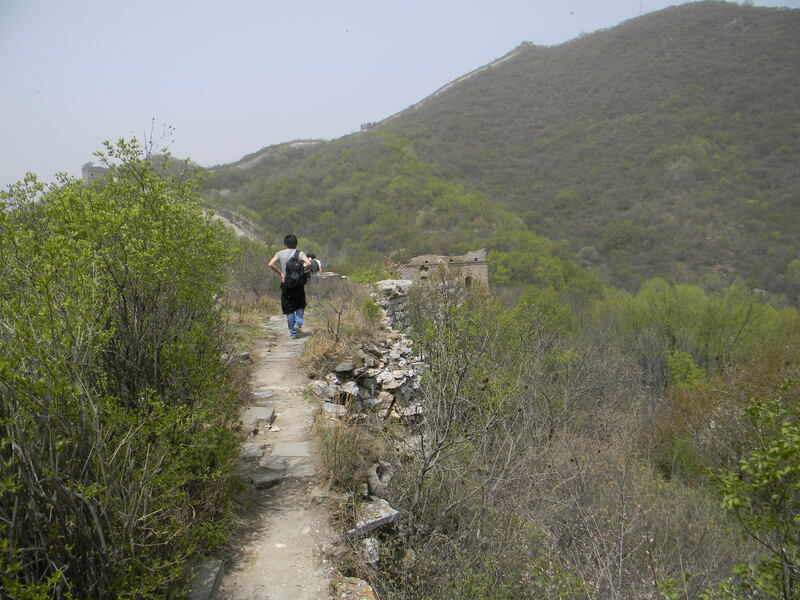 Like the Great Wall, it was originally a series of canals which were linked up around the 7th century (Sui Dynasty) and then expanded, rebuilt and redirected through the centuries. The pound lock was invented in the 10th century enabling ships to travel through different elevations. Unlike the Great Wall, it is still in use today. But as an artificial river doesn’t look as pretty as fortifications in the mountains, it’s not a tourist attraction and is often overlooked. Good point about the Grand Canal. It is my understanding that this was fundamental in uniting China as it allowed for easier trade within the country as opposed to having to use the rivers running to the sea which led to overseas trade. I also understand that it was a hugely expensive project.